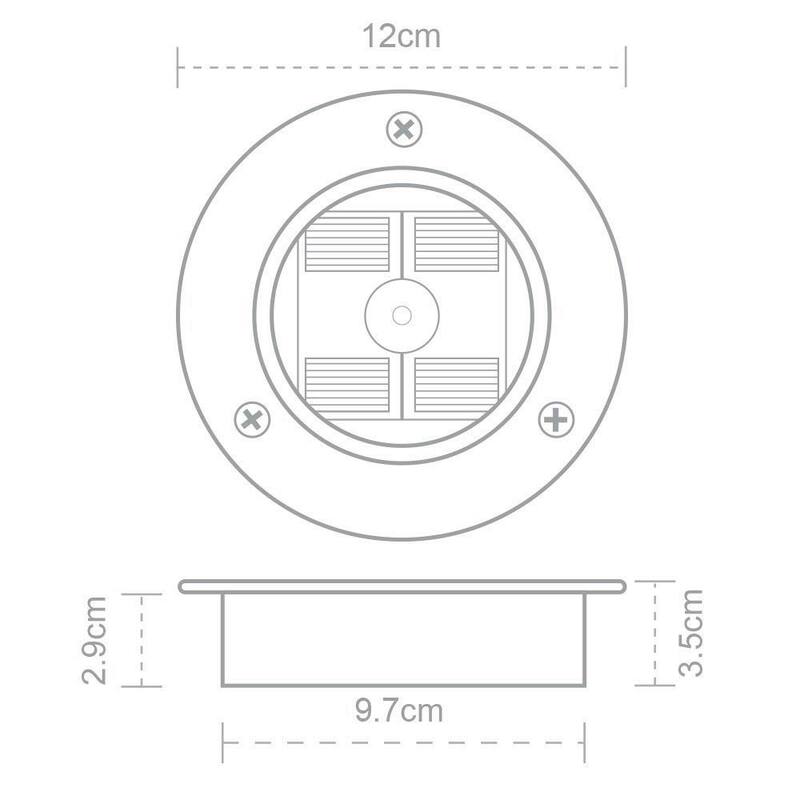 The Stainless Steel Round Decking Lights are very much a favourite here at the Solar Centre. 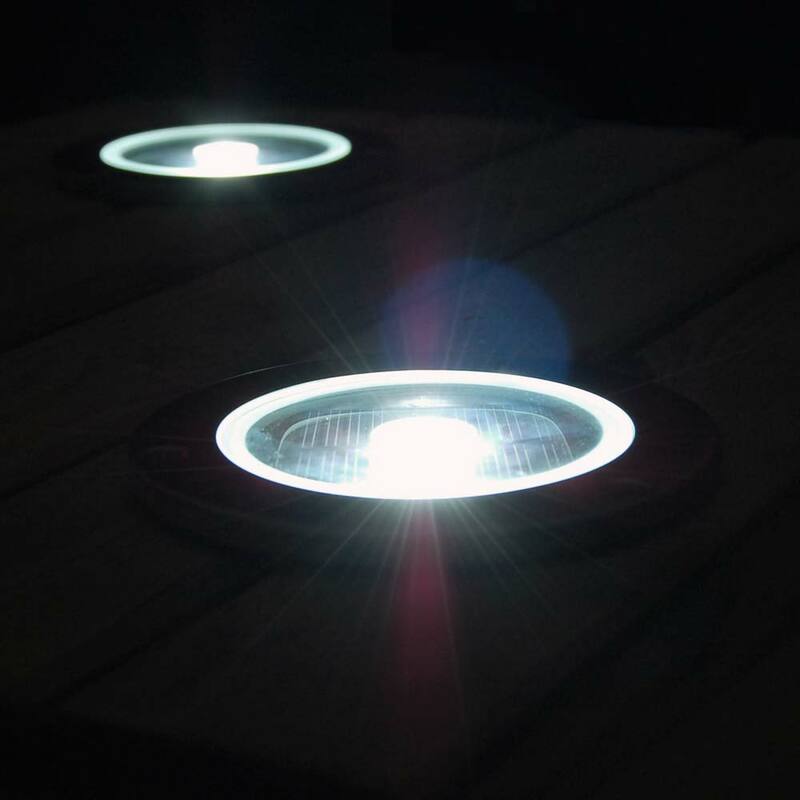 These high end elegant stainless steel decking lights are finished to the very highest standards and emit a beautiful glow after dark. 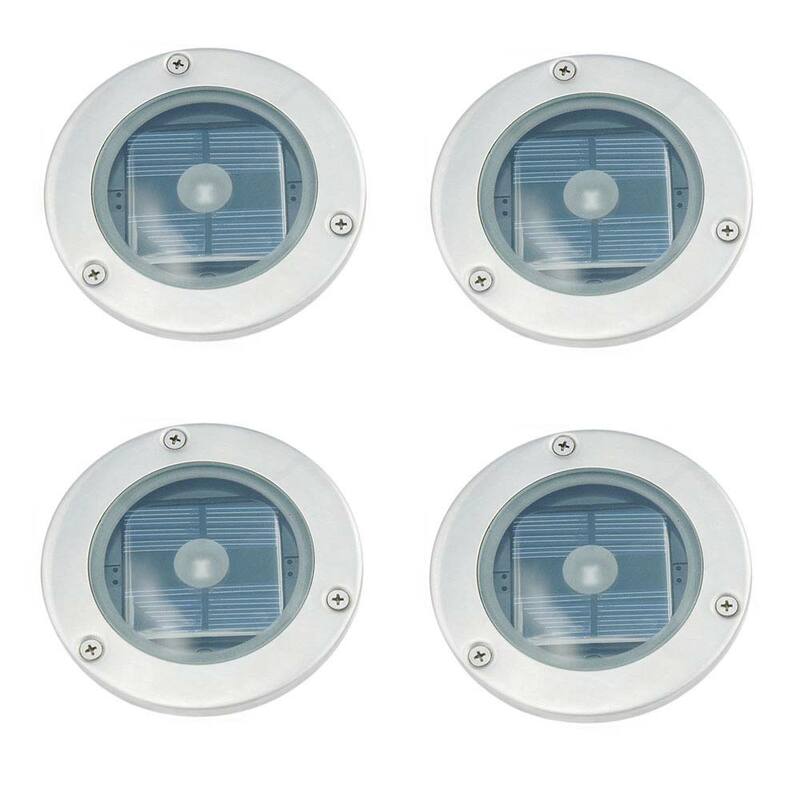 Like all Solar Centre products, the Solar Round Decking Lights offer year round reliability in the UK. Product was as described. You need a jig saw to install, but very easy to fit. Work really well. You are buying a quality product. will look at other products in the range. Can these be mounted vertically or do that have to go flat on the ground? I'm thinking of using them in our front garden to illuminate the driveway. As they're not suitable for being drive over, I was going to mount them on the walls that run down either side of the drive. My concern was that the sun won't hit them for long enough portions of the day if they're not pointing directly towards the sky? We wouldn't recommend them being vertical as it's likely that the panel wouldn't receive enough light. You can't put them directly into the soil as these lights need good drainage but you consider making a base for them with maybe a gravel drainage area underneath. I plan to fix these into the side of railway sleepers for a lit up finish to my raised bed. However they wont get much sunlight due to the position in the garden. Will the still charge in natural daylight or do the require the adequate sun rays? It's not something we'd recommend - this time of year (summer) you'd be fine however performance will suffer in winter months. The Edinburghs would be a much better bet as they have a remote solar panel.